I started looking for recipes a while ago but I couldn’t find the right thing. All of the recipes I found included vegetables in the pie or where with a really creamy sauce. But this wasn’t right! I knew exactly the type of pie I wanted but I couldn’t find the right recipe. And then, I stumbled across a chicken stew recipe in one of my cookbooks which looked perfect. The recipe is from The Slow Cook Book by Heather Whinney. This book is great because it gives you a slow cooker version of the recipe as well as a tradition method. I’ve had this book for a while now and every recipe I’ve made has been delicious! I would definitely recommend it. I started off by seasoning the chicken breasts with salt and pepper. I heated the butter and oil in my big pan over a medium to high heat until it was foaming. I then added the chicken and cooked for about 5 minutes on each side until browned. I put the chicken to one side. I turned the heat down to medium and cooked the sliced onions for 10 minutes. Whilst the onions were cooking, I started to make a bouquet garni with the parsley, thyme and bay leaf. Practical tip: a bouquet garni is like a floral bouquet but made with the herbs. Simply take the herbs and tie them together with some cooking string. Once the onions were soft, I sprinkled in the flour, gave it a good stir and cooked it for around 2 minutes. I put the chicken back in in a single layer before adding the brandy and letting it come to the boil for a few minutes. During this time, I kept spooning the brandy over the chicken. I added the mushrooms, bouquet garni and the crushed juniper berries. I added the beer and the chicken stock. Once the liquid was boiling, I put the lid on and left it to simmer for 50 minutes. As I was approaching the end of the 50 minutes, I rolled out my pastry to ensure it had time to settle. I lightly dusted the work top and rolled out a third of the pack into a rectangle. I placed the pie dish upside down on the pastry and cut round it with a sharp knife. When the timer went off, I pulled out the chicken and used forks to shred it. I then returned it to the pan and stirred through the cream. I portioned out some of the stew into my pie dish and brushed the edge with some water. I then used the cutoffs to line the edges, brushed it with a little more water and then positioned the pastry lid on top. I used a fork to seal the edges and then used a sharp knife to put a cross in the centre. Practical tip: freeze the leftover stew and pastry to use another day. I put the pastry in the oven on 200 degrees celsius for 20 minutes until the puff pastry was golden brown. I served up with some mash potato which I made using some of the double cream. This dish was absolutely delicious!! The pie filling was rich and full of flavour, the top was lovely a crispy and the mash was so creamy…the perfect combination. I can’t wait to use the leftovers and I will definitely be making this again for my mum when she visits! Coming up next, Challenge No. 47 – stollen. I don’t know about you, but I absolutely love pizza! My dad is a pizza supplier and there was always a lot of pizza in the house growing up, so much so that I think my brother and I perhaps share a slightly unhealthy love for pizza. If I had to choose one meal to live on for the rest of my life, I’m pretty sure it would be pizza. So when my mum suggested this as one of the challenges, I thought it was brilliant. 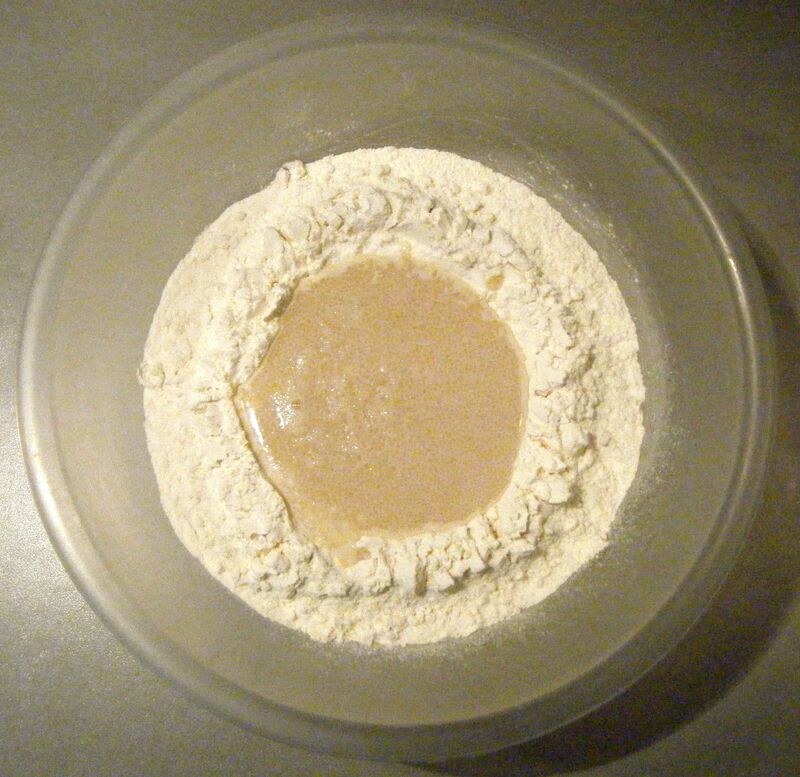 I started by sifting my flour and salt into a large bowl and then made a well in the centre. I mixed the water, oil and sugar together and then added the yeast. I gave it a good mix and waited 3 minutes before pouring the mixture into my flour well. I used a metal spoon to slowly stir the flour into the liquid until it was well combined. I ended up having to add a little bit more water as it seemed a bit too dry. I just added a few drops at a time until it came together as a relatively sticky dough. I floured my work top and tipped out the dough ball. I gave it a good knead for about 10 minutes until it was smooth and springy. 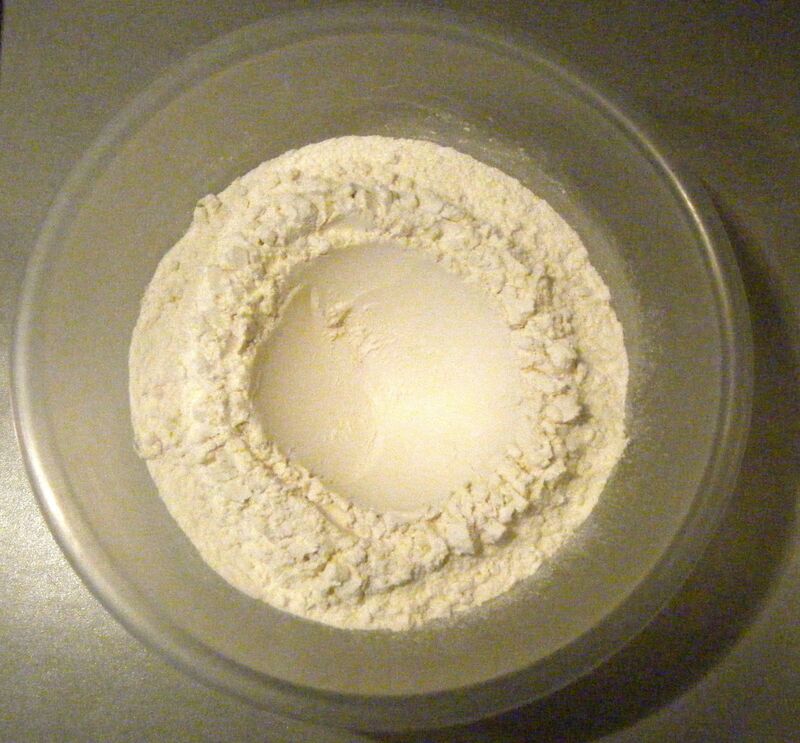 I popped it in a clean bowl which I had covered with a fine coating of flour, sprinkled some flour on top of the dough and then I covered the bowl with a damp tea towel. I put the bowl in the hottest part of my flat, in front of the working tumble dryer and set the timer for 1 hour. Practical tip: in case you missed Challenge No. 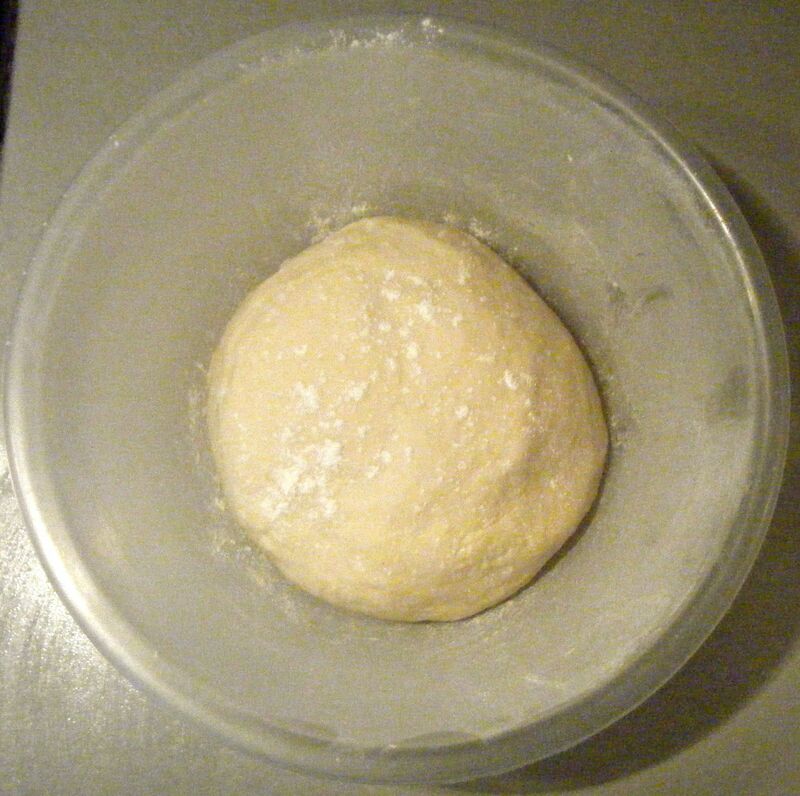 16, remember to develop your own method of kneading. This may sound silly but when I first starting making bread, I tried to replicate other people’s kneading styles. Unfortunately, I have bad joints, particularly bad in my hands and I found it painful to use some of the methods I’d seen on TV. Instead I found I rolled and stretched the dough between my two hands, using more of the heel of my hand than my fingers. It takes a little longer for me to knead like this but I always get there in the end and it is less painful 🙂 So find a method that works for you and just go with that. When the timer went off for my dough, I turned the oven on to 220 degrees celsius and put in two tray upside down. 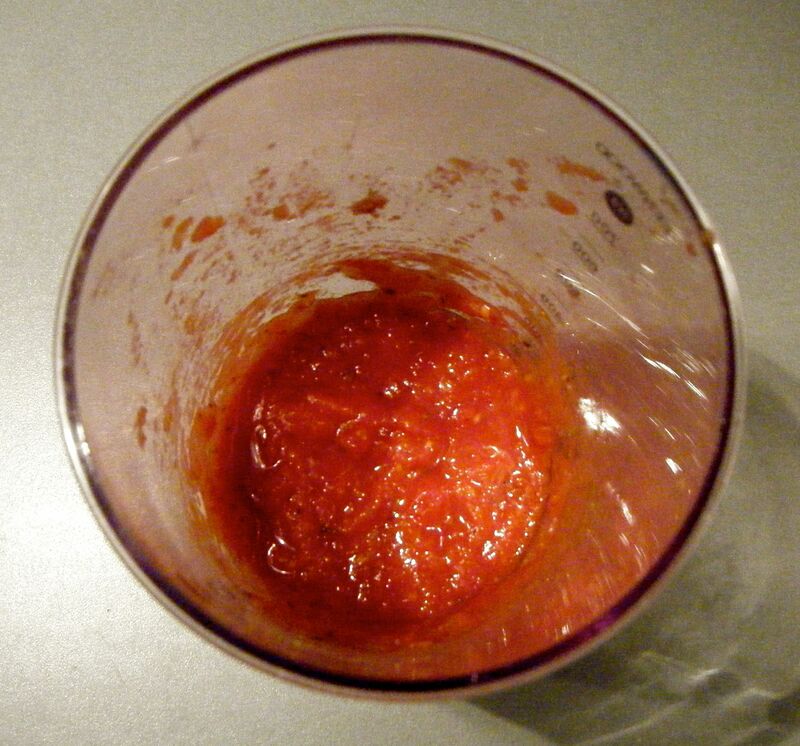 According to the recipe I found, this helps crisp up the base of the pizza. 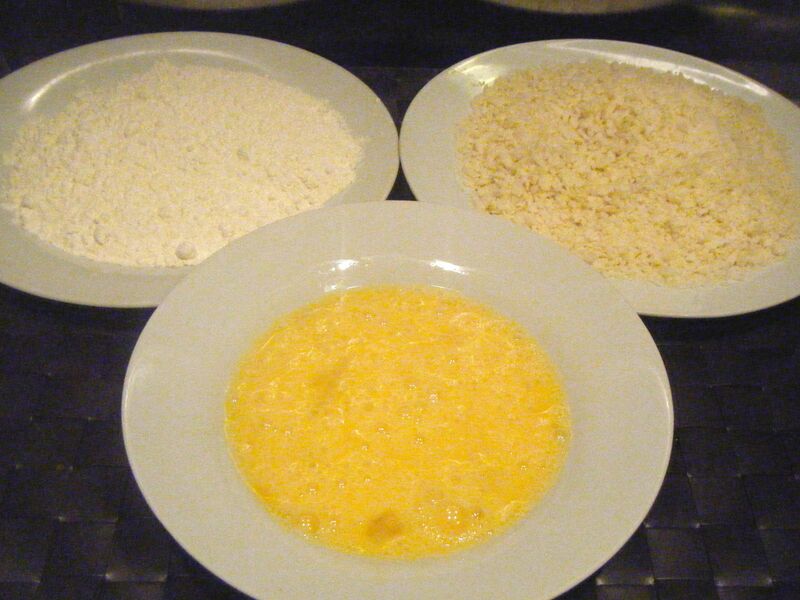 I tipped out the dough onto a well floured surface and divided the mixture into 4 equal balls. I took the first one a kneaded it for about 5 minutes until it felt right to start stretching. 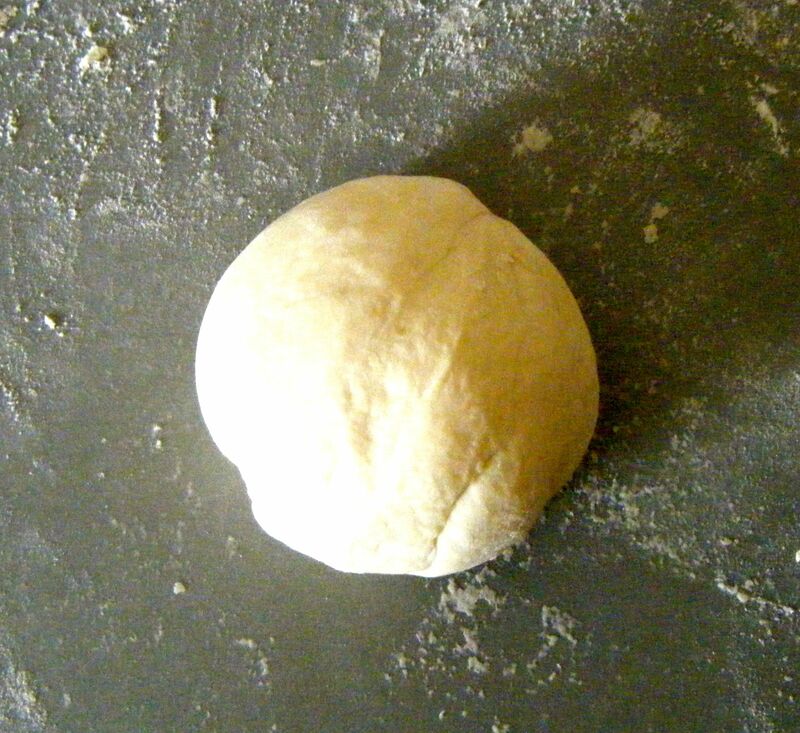 I gave it a bit of a roll with the rolling pin and then decided that, if I am making pizza, I’m going to do it properly…so I started throwing it in the air, spinning it into a flat oval. It kind of worked too!! I still had to give it a bit of a stretch to get it to the right size but I soon had a base ready to be topped. 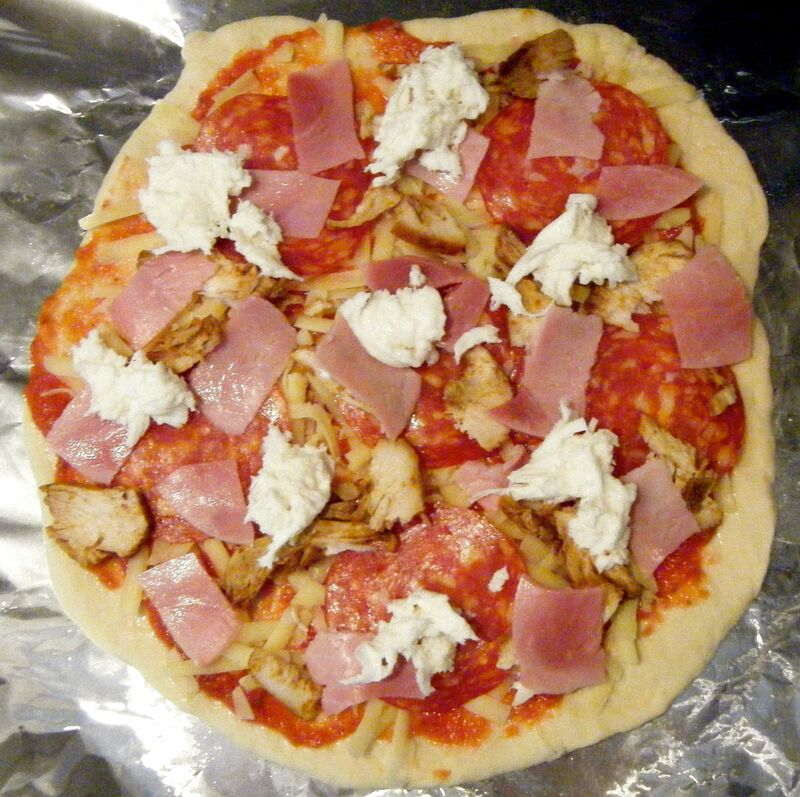 I popped it onto some floured foil and got started on the toppings. 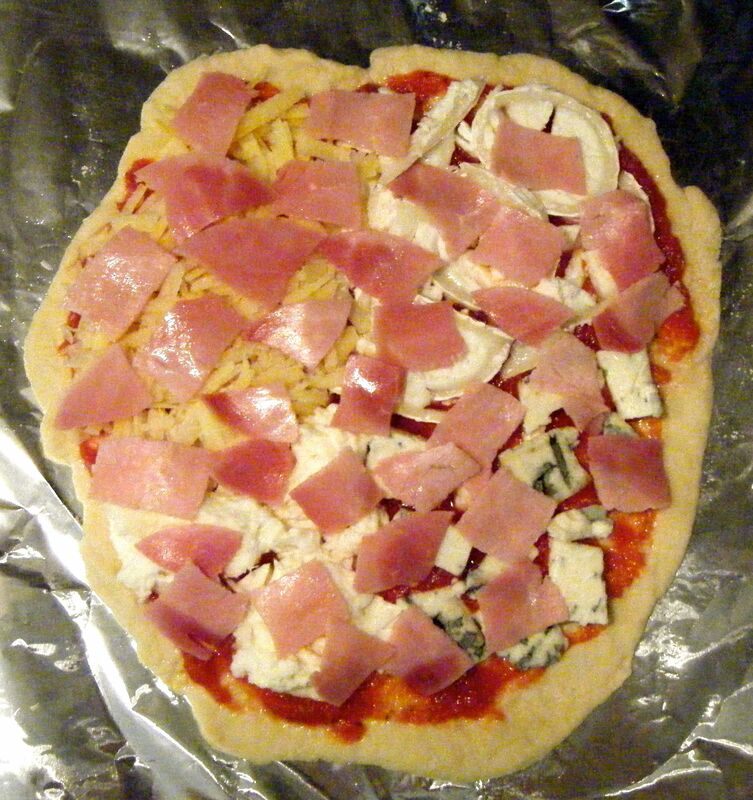 Practical tip: this recipe makes 4 pizza bases. If you don’t want to eat all four at once, just knead and shape any extra dough. Layered the extra bases together with foil to separate them and then pop them in the freezer for another day. I made Dave’s pizza first and added some sauce before layering up some grated cheddar, pepperoni slices, ham slices, some barbecue chicken, some pulled mozzarella and then a drizzle of chilli oil. 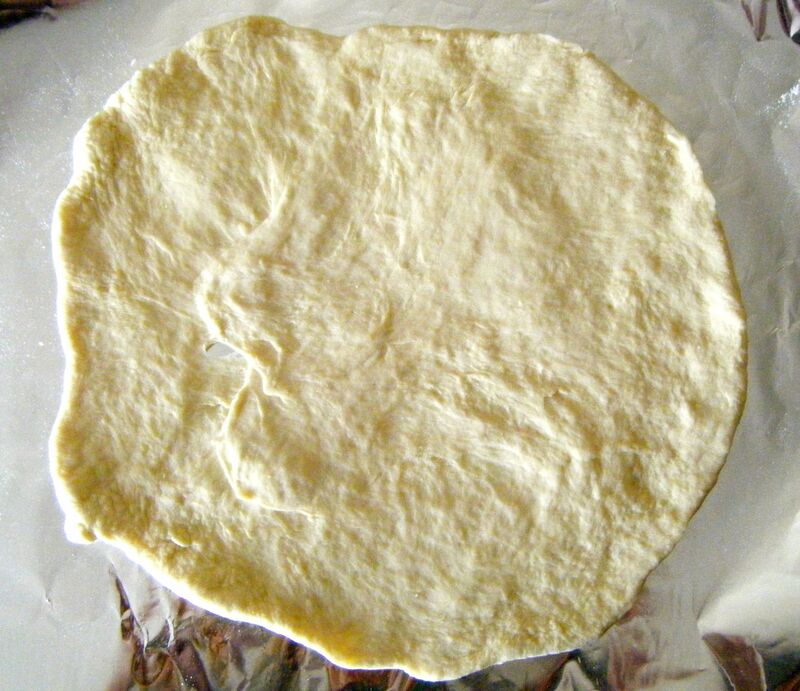 With Dave’s pizza put to one side, I took the next ball of dough to knead and stretch into my base. I topped it with some of the sauce and then added my ingredients. I covered a quarter of the pizza with goats cheese, a quarter with gorgonzola, a quarter with mozzarella and a quarter with a cheddar/parmesan mix. I then topped it all with ham and some chilli oil. I put each pizza onto one of the heated trays and put them in the oven. I set the timer for 8 minutes and when this went off, I broke an egg into the centre of my pizza. Trust me, don’t knock this until you have tried it. 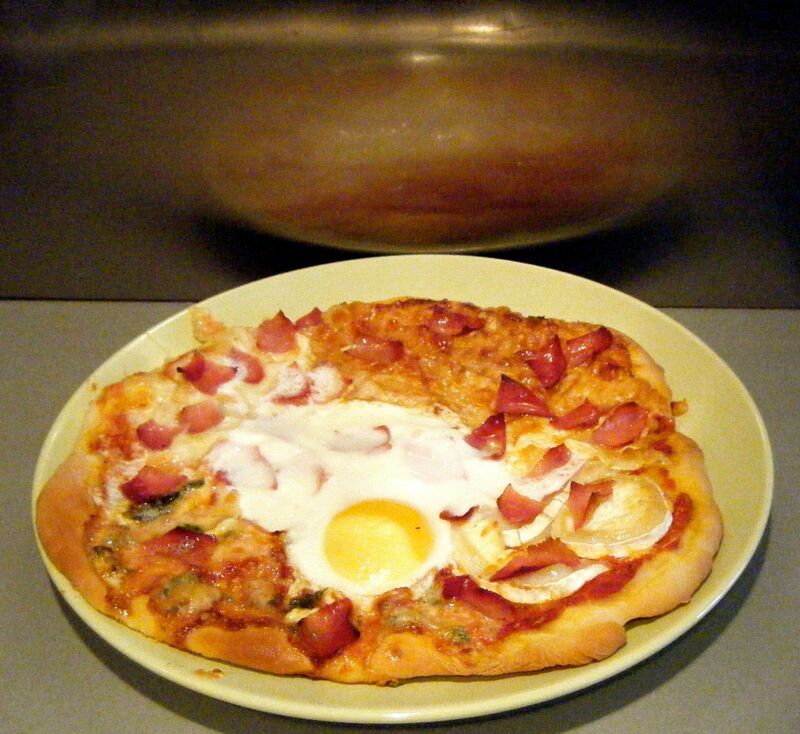 Egg on a pizza is one of life’s little food secrets that no-one should miss out on (although Dave still wont try it!). I let the pizzas cook for another couple of minutes and then decided they needed a little longer. I hadn’t made my bases quite as thin as the recipe suggests and I know Dave prefers his pizza slightly overdone. I ended up cooking the pizzas for about 16 minutes in total and this was just about right for us. These were absolutely amazing! 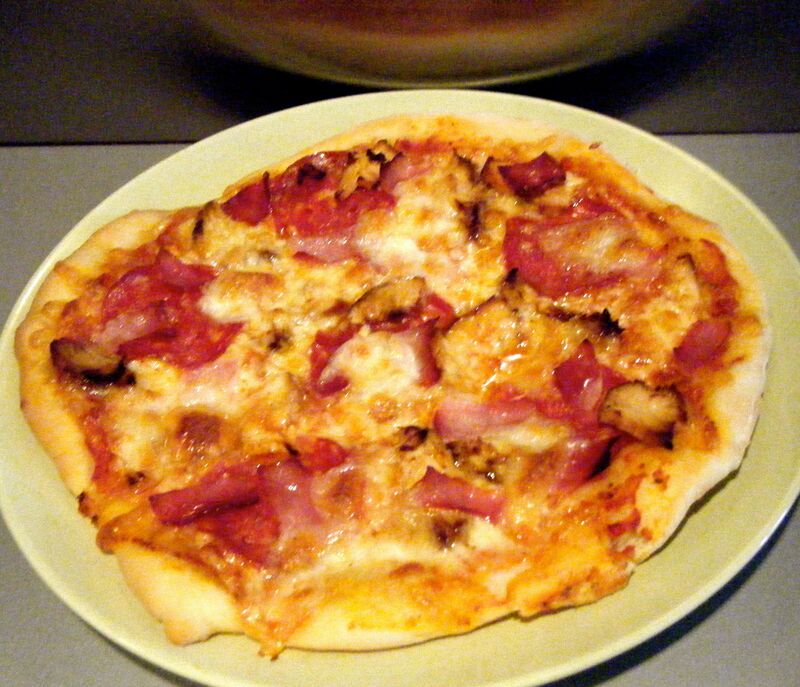 They was much less greasy than a takeaway pizza and I’m amazed at how simple it was to do. Once I’ve used the 2 extra bases I have in the freezer, I will definitely be making some more. Coming up next week, Challenge No. 29 – panda cupcakes (gluten free). I can’t quite believe we’ve made it to Challenge No. 6 already! 2015 is flying by. Anyway, on with the Challenge 🙂 This dish was suggested by my other half and I think it is a great mid-week dinner. 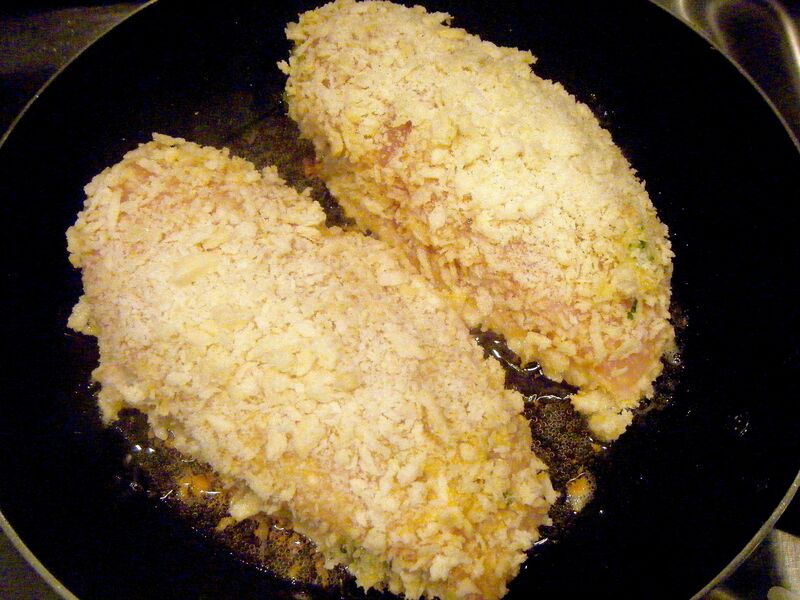 I’ve made chicken kievs once before but they didn’t really turn out as I had hoped and so, whilst this is not technically a new dish, it is one I had a lot of room to improve on. I’ve recently watched a cooking program where chef Tom Kerridge made chicken kievs and they looked delicious. So when I started looking for a recipe for this week, I knew it had to be this one. 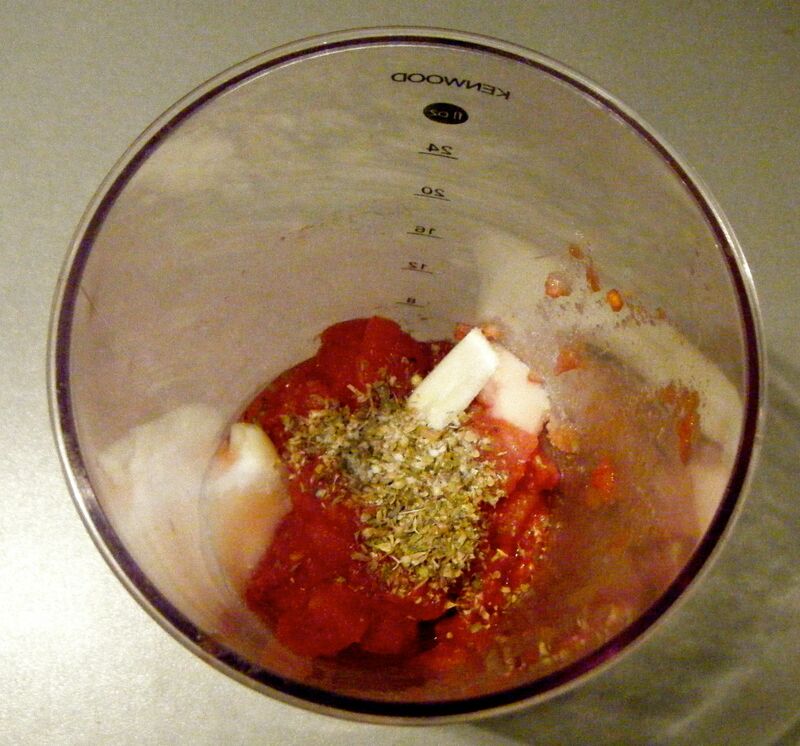 *I found I ended up wasting lots of the flour, eggs and breadcrumbs by using these quantities. I’d recommend using just 1 egg, 50g flour and 50g breadcrumbs. If you find you need more, simply add extra to the dipping plates. You can always add more but you can’t re-use what you’ve put on the plates once the chicken has been dipped in it. 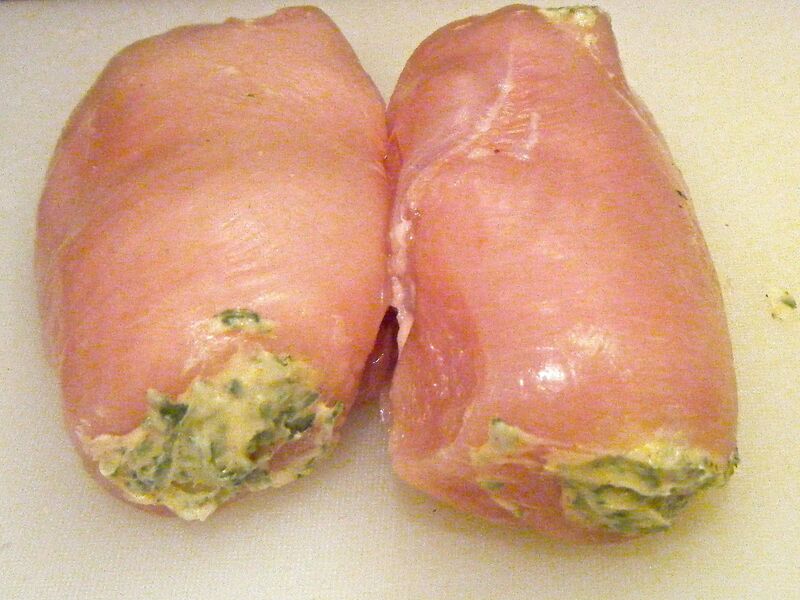 The last time I tried to make chicken kievs, I used chicken breasts bought from a supermarket and I felt they were a bit too small. Personally, I think you need quite big bits of chicken to make kievs and so, this time, I decided to take a trip to my local butchers. The result was some humungous bits of chicken and super sized chicken kievs. 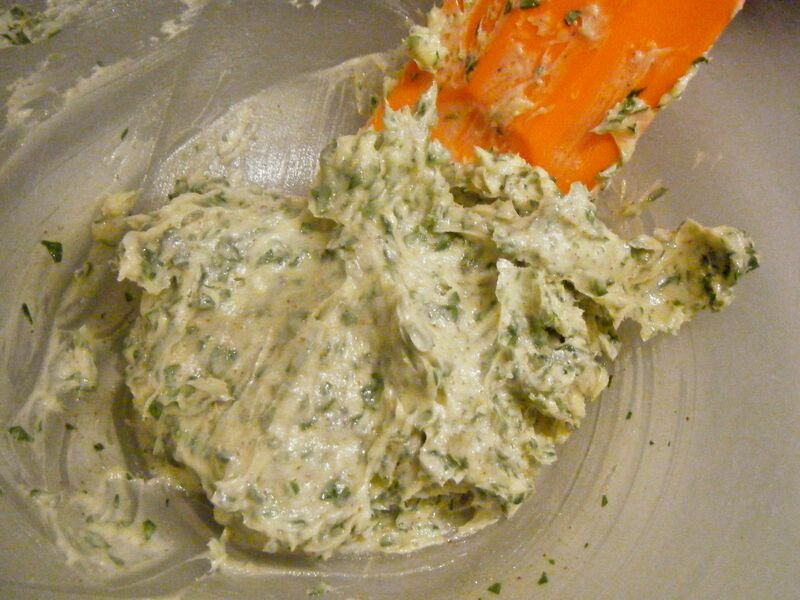 With all my ingredients ready to go, I started by combining the butter sauce ingredients and mixed them with my handheld mixer until well combined. I then filed a piping bag with the butter sauce and got my chicken prepared. 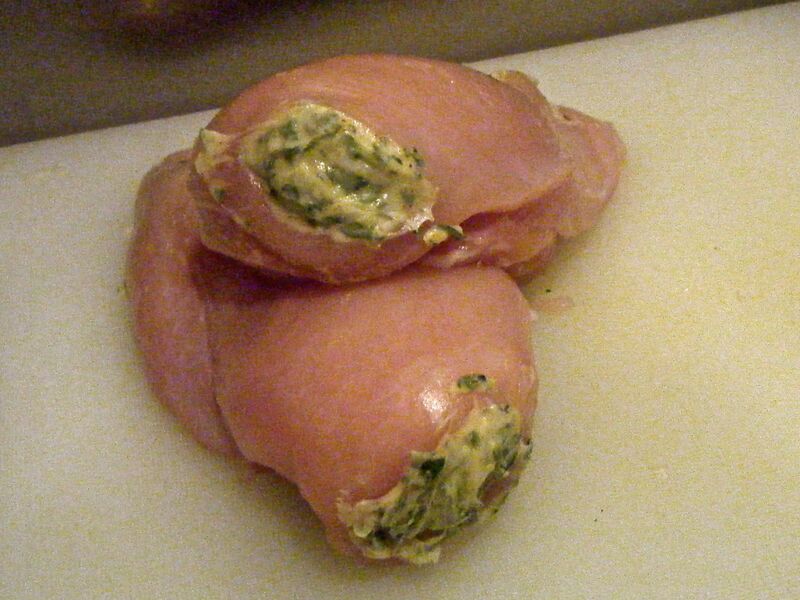 Now most chicken kiev recipes say to slice the chicken in half (but not all the way through) so as to create a top and bottom which are connected on one side. You then normally spoon in the butter and fold the top back over to create a chicken parcel. However, Tom Kerridge recommends a different approach and I thought it was just brilliant. I don’t think the online recipe is overly clear about what needs to be done but the TV program showed it really well and I’ll do my best to explain it here for you! With the the TV program fresh in my mind, I tried to replicate Tom’s approach. I got my knife and pushed it tip first into the thickest end of the chicken, pushing along the length of the chicken to make a pocket. Using this approach helps stop the butter just melting and spilling out of the kiev. Practical Tip: you need to make the pocket as deep as possible but be careful not to push the knife through so that it comes out the other side of the chicken. The pocket should have only one exposed area, being the point where the tip of the knife went into the chicken. I then got my piping bag, pushed the nozzle into the split in the end of the chicken and pipped in the butter. The result was a very strange feeling! I could feel the chicken breast expanding in my hand as it filled up with butter. I piped in as much as possible, however, I found the pocket on one of the breasts wasn’t quite deep enough to fill it fully. I therefore made a second pocket from the other end of the chicken and piped in a bit more. 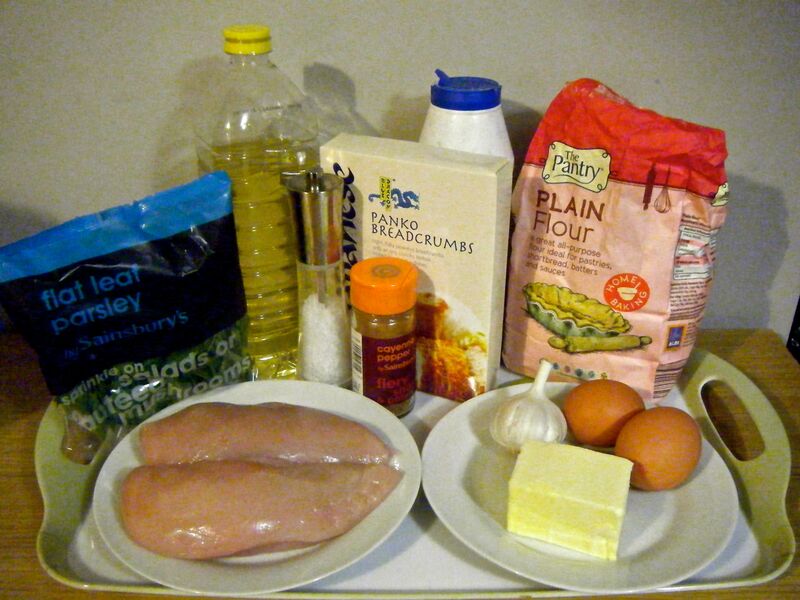 Once the chicken was filled with the butter, I got my flour, eggs and breadcrumbs ready. I placed the eggs in a shallow bowl and the flour and breadcrumbs onto a plate. As I’ve said above, the quantities ended up being a bit too much for just 2 chicken breasts. I made the mistake of trying to use the full amounts and this ended up being a bit of a waste. It was also really messy as loads of the breadcrumbs ended up falling off the side of the plate as I tried to cover the chicken! 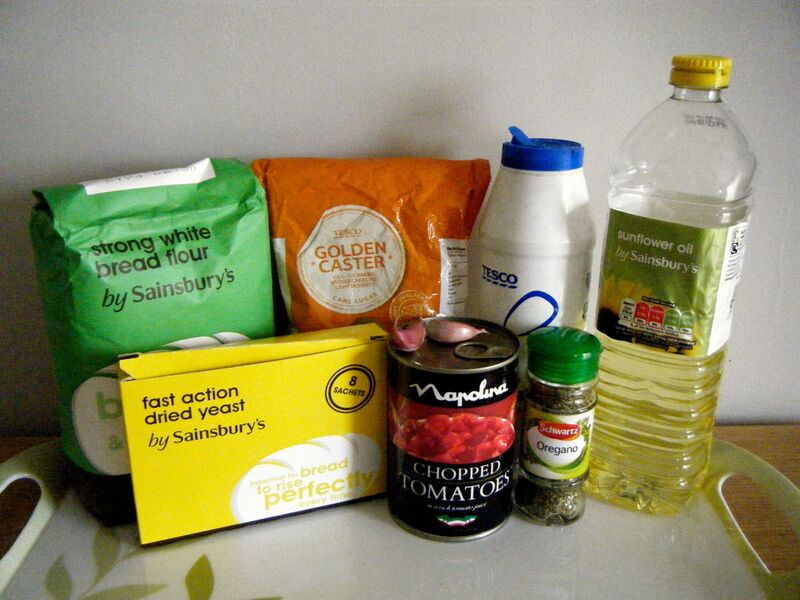 So with my coating ingredients ready. 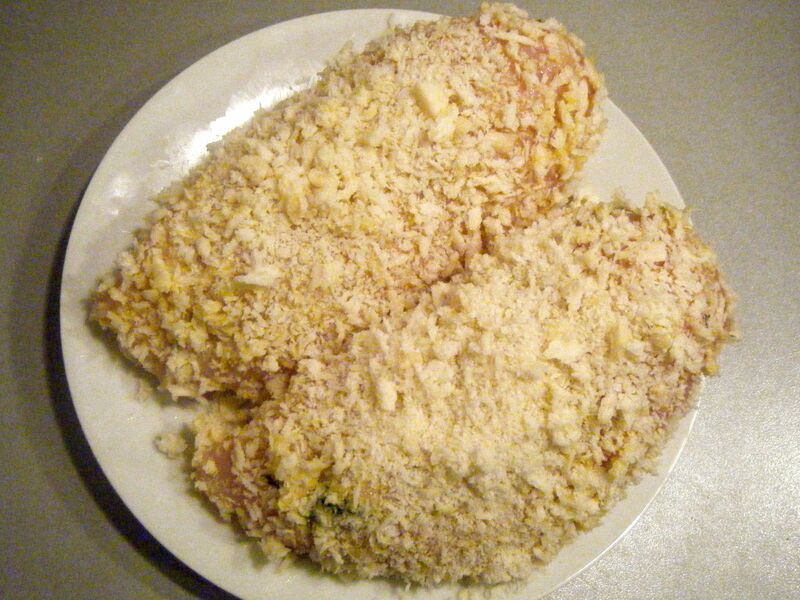 I dipped the chicken breasts in turn into the flour, then the egg and finally the breadcrumbs. I placed them onto a plate, covered them with cling film and popped them in the fridge and set the timer for 20 minutes. After the 20 minutes was up, I got my frying pan out and heated the oil. The recipe says to use “a little of the vegetable oil”, however, when I watched it on TV it looked more like the chicken was shallow fried. I therefore added quite a lot to my pan and got it nice and hot. Practical Tip: to test whether the oil is hot enough, just drop some of the breadcrumbs into the oil and if they sizzle, the oil is hot enough to fry the chicken. I fried the chicken in the oil for 3-4 minutes on each side until golden brown and then popped it in the oven for 15 minutes. I still found some of the butter ran out of the pocket but it was a lot better than when I used the other technique of creating a chicken parcel. Once the chicken was cooked, it was time to serve up. Now, I had really good intentions of serving my kiev up with salad but I ran out of side space to prepare the salad (terrible excuse I know!) and so I ended up just giving in and having homemade chips which I was already making for my other half. My boyfriend and I both really liked the flavour and texture (the panko breadcrumbs worked really well! ), however, we both said there was actually too much chicken. 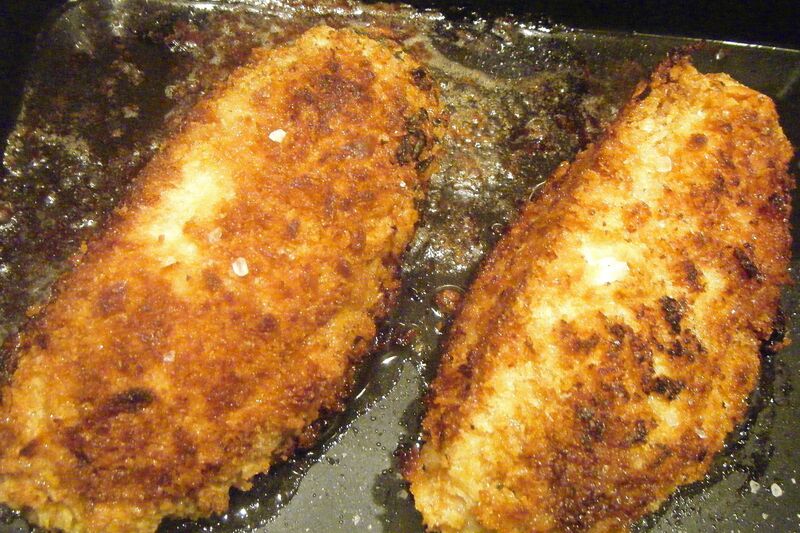 I like my kievs to be really buttery and I felt I didn’t quite get the ratio of butter to chicken quite right. I think this is simply because my butchers chicken breasts were so big – so big in fact, neither of us could finish them. 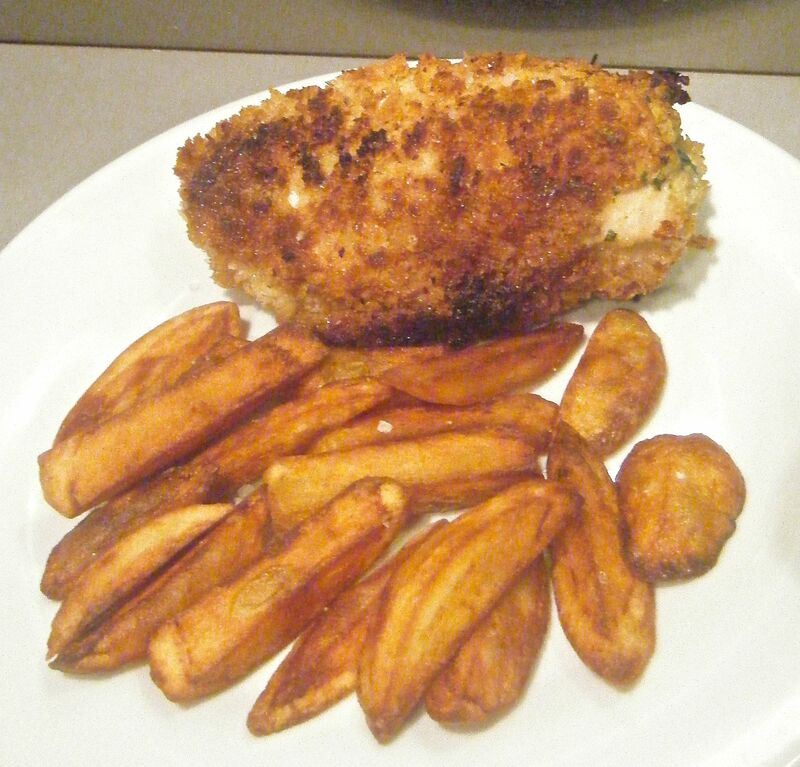 Overall I would say my second attempt at chicken kievs was a success and it was definitely a lot better than my first! Coming up next week, Challenge No. 07 – viennese fingers.